Empowering small businesses to achieve big things has been what’s motivated us for over a decade and a half. There’s something extremely satisfying and rewarding about hearing how we’ve helped a small business improve team efficiency and collaboration, or hearing how we’ve helped an entrepreneur regain their focus and sanity. 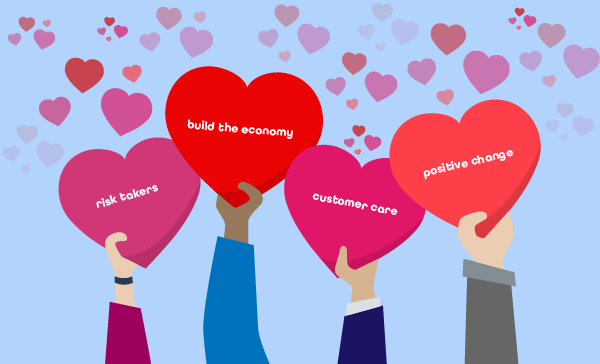 From the risk-taking and ambitious nature of entrepreneurs to the flexibility and tight-knit culture, there’s so much to love about small business. Since starting as a team of just two people to growing to over forty-five employees, we’ve remained focused on our mission to help small businesses. Here are some of the reasons why– straight from the people that make our mission possible.